As we said in the just-published Fiscal Monitor update, fiscal policy this year in some leading advanced economies is shaping up to be quite different from what was expected just last November. The United States and Japan are delaying their earlier plans to reduce their public deficits, choosing instead to provide further support to their economies. The change in plans is even more remarkable if you look at the cyclically adjusted balance. You can see this in the charts. Some of the change in the fiscal stance with respect to our earlier projections is attributable to the somewhat better than projected fiscal results in 2010, a point to which I will return in a moment. Most of it, however, is due to additional stimulus measures introduced during the last two months. These two countries need to strengthen their fiscal adjustment credentials by detailing the measures they will adopt to lower deficits and debt over the medium term. So, what happened last year? 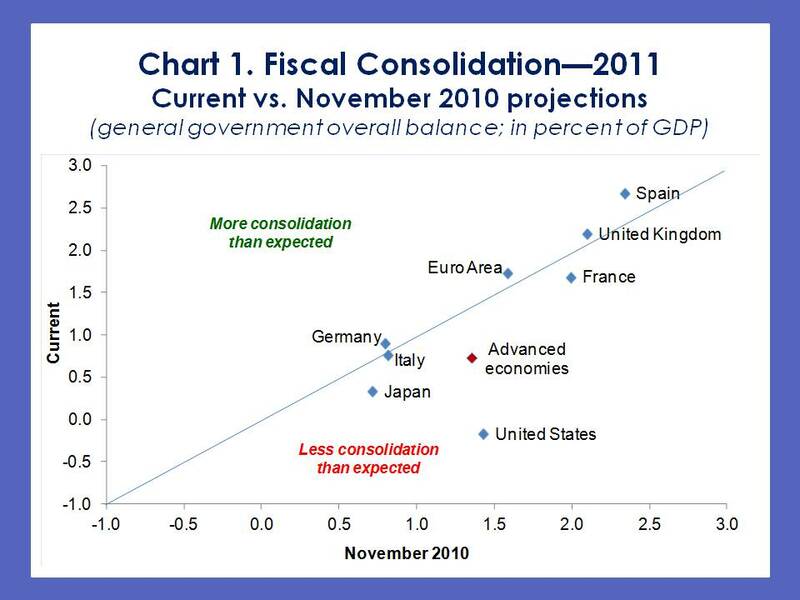 For advanced economies, fiscal developments in 2010 were slightly better on average—by about 0.3 percent of GDP—than we had estimated in the November 2010 Fiscal Monitor, although with some more sizable differences for individual countries. A few months ago I discussed the failing of econophysics, and more generally, the economic paradigm that treats people like computers and views economic dynamics like physics. The natural follow up question is, “What can you say that is constructive?” The answer is an emerging approach to behavioral economics.